The African Penguin (Spheniscus demersus), also known as the Jackass Penguin (after its loud mating call), and the Blackfooted Penguin, is found on the south-western coast of Africa, living in colonies on 24 islands between Namibia and Algoa Bay, near Port Elizabeth, South Africa, with the largest colony on Dyer Island, near Kleinbaai. 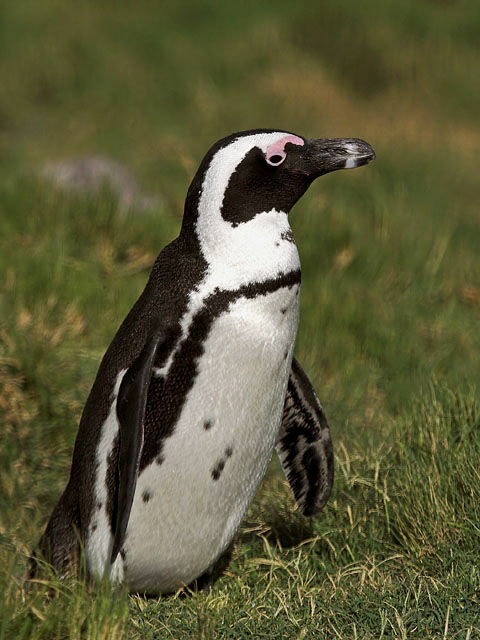 Two colonies were established by penguins in the 1980s on the mainland near Cape Town at Boulders Beach near Simon's Town and Stony Point in Betty's Bay. 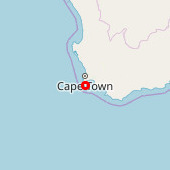 Mainland colonies probably only became possible in recent times due the reduction of predator numbers, although the Betty's Bay colony has been attacked by leopards. The only other mainland colony is in Namibia, but it is not known when this was established.